I am crushed. 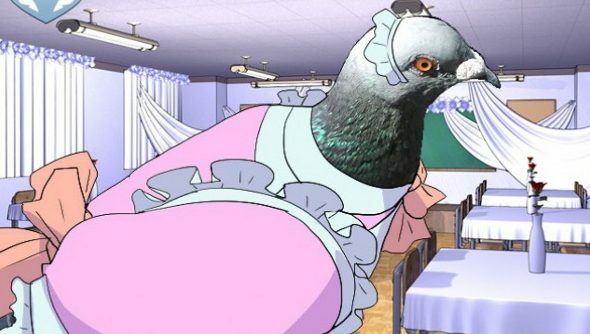 I’d planned on finally finding out what it’s like to date a pigeon on Thursday, but Devolver Digital dashed my dreams against the rocks today when it tweeted pigeon dating simulator Hatoful Boyfriend’s delay today. It’s now due out in a fortnight, on September 4th. 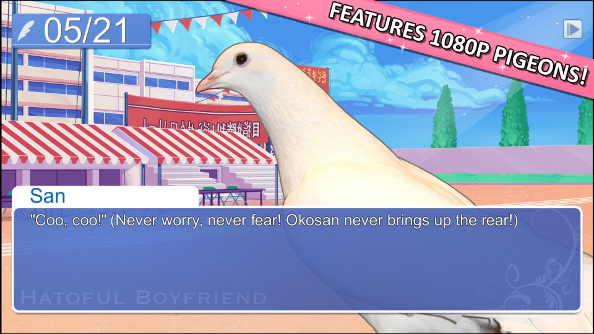 In the mean time here’s a screenshot of a poetic pigeon.